[S72] UK National Census for 1891 for UK, "RG12/2164 f14 p21 118." [S704] UK National Census for 1901 for UK, "RG13/2607 f22 p1 4." [S45] Website FreeBMD (http://freebmd.rootsweb.com/) "Marriages Dec 1881 Sherratt Sarah Wolstanton 6b 237." [S45] Website FreeBMD (http://freebmd.rootsweb.com/) "Marriages Dec 1881 Washington Joseph Wolstanton 6b 237." [S191] Website Staffordshire BMD (http://staffordshirebmd.org.uk/) "WASHINGTON Joseph SHARRATT Sarah 1881 Civil Marriage (Wolstanton) Stoke-On-Trent Staffordshire WRO/21/071." [S72] UK National Census for 1891 for UK, "RG12/2164 f14a p22 118." [S2321] Norman J "I've found the death of Sarah Washington nee Sherratt she died age 33 on the 11 1 1894 at 12 Church Street Burslem and the grave No.4324 is in Burslem cemetery. Joseph Washington then married his Sister inlaw Emily Sherratt nee Shaw and the two families came together at 10 Broad Street Hanley." [S191] Website Staffordshire BMD (http://staffordshirebmd.org.uk/) "WASHINGTON Joseph SHERRATT Emily 1894 Civil Marriage (Wolstanton) Stoke-On-Trent Staffordshire WRO/32/068." [S45] Website FreeBMD (http://freebmd.rootsweb.com/) "Marriages Mar 1894 Washington Joseph Wolstanton 6b 177." 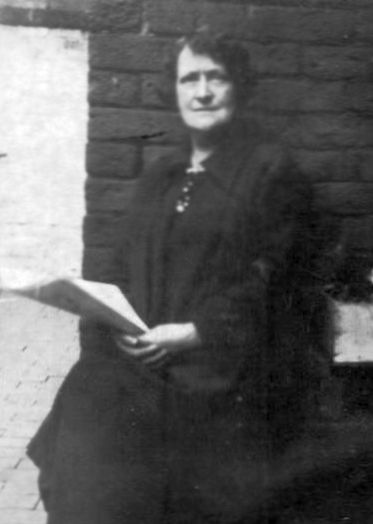 [S45] Website FreeBMD (http://freebmd.rootsweb.com/) "Marriages Mar 1894 Sherratt Emily Wolstanton 6b 177." [S45] Website FreeBMD (http://freebmd.rootsweb.com/) "Births Dec 1882 Washington Joseph William Wolstanton 6b 126." [S45] Website FreeBMD (http://freebmd.rootsweb.com/) "Births Dec 1884 Washington Clara Wolstanton 6b 141." [S45] Website FreeBMD (http://freebmd.rootsweb.com/) "Births Jun 1887 Washington Arthur Wolstanton 6b 118." [S45] Website FreeBMD (http://freebmd.rootsweb.com/) "Births Mar 1889 Washington Mary Eliza Wolstanton 6b 113." [S45] Website FreeBMD (http://freebmd.rootsweb.com/) "Births Dec 1895 Washington Emily Maud Stoke T. 6b 197." [S45] Website FreeBMD (http://freebmd.rootsweb.com/) "Births Dec 1899 Washington Norman James Stoke T. 6b 208." [S47] UK National Census for 1861 for UK, "RG9/1924 f83a p10 59." [S2] UK National Census for 1871 for UK, "RG10/2844 f79a p14 77." [S601] UK National Census for 1881 for UK, "RG11/2708 f134a p10 49." [S72] UK National Census for 1891 for UK, "RG12/2174 f73 p1 4." [S72] UK National Census for 1891 for UK, "RG12/2150 f101a p26 174." M009934 1882 - 1898 1471147 Film NONE." [S45] Website FreeBMD (http://freebmd.rootsweb.com/) "Births Sep 1855 Shaw Emily Wolstanton 6b 93." [S45] Website FreeBMD (http://freebmd.rootsweb.com/) "Births Mar 1876 SHERRATT Caroline Wolstanton 6b 128." [S72] UK National Census for 1891 for UK, "RG12/2164 f14a p22 119." [S45] Website FreeBMD (http://freebmd.rootsweb.com/) "Births Dec 1878 SHERRATT Arthur Wolstanton 6b 107." [S191] Website Staffordshire BMD (http://staffordshirebmd.org.uk/) "POTTS Louise SHERRATT Arthur 1903 Shelton, St Mark Stoke-On-Trent Staffordshire 27/11/226." [S45] Website FreeBMD (http://freebmd.rootsweb.com/) "Births Dec 1884 Sherratt Joseph Richard Wolstanton 6b 122." [S45] Website FreeBMD (http://freebmd.rootsweb.com/) "Births Jun 1887 Sherratt Walter Wolstanton 6b 131." 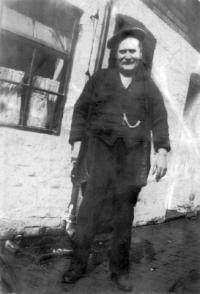 [S45] Website FreeBMD (http://freebmd.rootsweb.com/) "Births Jun 1890 Sherratt Gertrude Stoke T. 6b 229." [S191] Website Staffordshire BMD (http://staffordshirebmd.org.uk/) "SHERRATT Louise BOOTH Wilfred 1934 Wellington, St Luke Stoke-On-Trent Staffordshire 36/13/044." [S191] Website Staffordshire BMD (http://staffordshirebmd.org.uk/) "SHERRATT Miriam A COLLIS Joseph 1930 Civil Marriage (Stoke & Wolstanton) Stoke-On-Trent Staffordshire SWRO/32A/043." [S37] Website Cheshire BMD (http://cheshirebmd.org.uk/) "Warrington : C1/1/18." Source: FHL Film 1655826 Dates: 1870 - 1900.